Boho style is a top trend at the moment, and if you love color and pattern, it’s a trend you’ll adore. The name “Boho” means Bohemian, after a group of British artists who lived a carefree, unconventional life about 100 years ago. 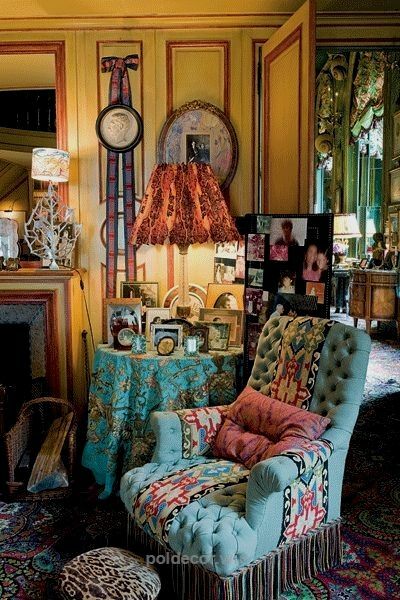 The Bloomsbury group created painted interiors covering floors, walls and ceiling with a riotous mix of color and pattern. On top of shabby antique furniture they layered colorful textiles, pillows, and rugs gathered from trips to exotic places. Modern Bohemian style means bringing that global hippie vibe into modern, minimalist interiors. Instead of maxing out on color and pattern, limit your color palette and look for chunky textures and ethnic-inspired patterns. Have fewer art pieces on the walls, and collect wood sculpture, baskets, feathers, and other natural elements to create that Bohemian layered look. 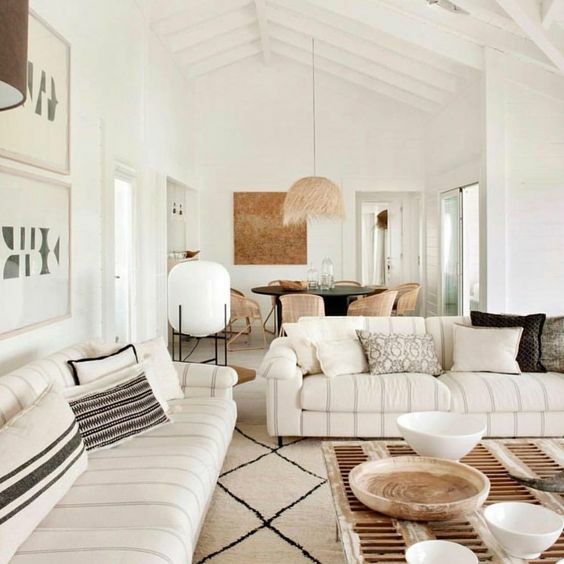 Light and airy modern rooms can still feel cozy and grounded – fill them with chunky cotton textures, weathered wood tones, and collections that hint at a well-traveled life. Focus on one or two accent colors and repeat them in pillows, textiles and rugs for a pulled-together look. So what’s your Bohemian style? Chaotic layers of pattern and rich, exotic colors? Or a serene, modern space with artsy touches? Either way, choosing a bold rug is a great way to pull your design together.